Speedwatch is a Cambridgeshire Police initiative supported by the Cambridgeshire and Peterborough Road Safety Partnership to enable local communities to take a proactive approach to dealing with the problems caused by inconsiderate drivers. 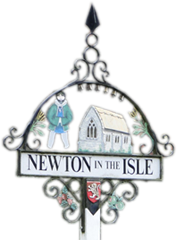 Community volunteers in Newton have received training from the Police in the use of speed monitoring equipment, which will be used to identify motorists exceeding the speed limits in the village. If you would like to be involved in this initiative, please - Click here - to send an e-mail. There are currently no forthcoming events.